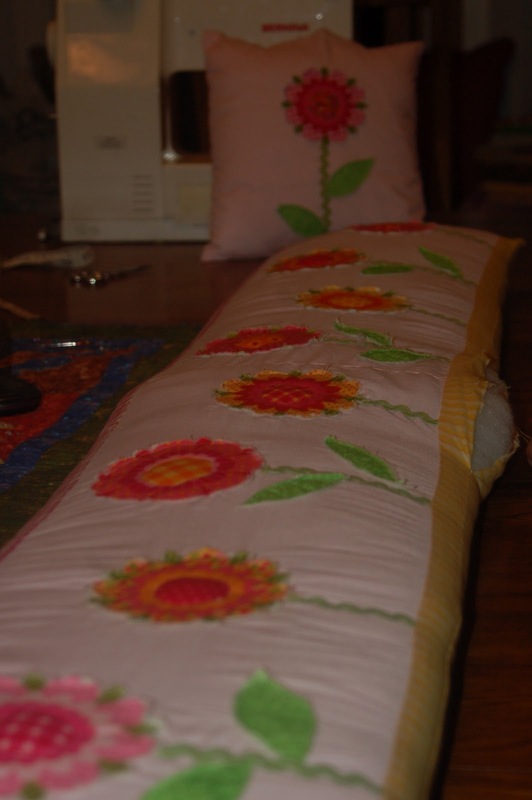 Each of the flowers are applied using the "raw edge applique" technique. We cut each flower out of the material and a duplicate out of flannel. 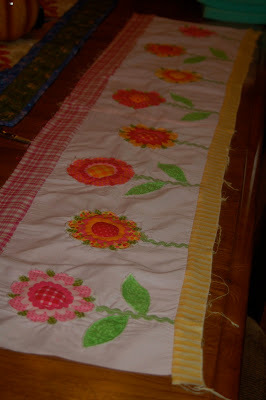 The reason we did a flannel backer on the flowers is so the fraying would be accentuated. 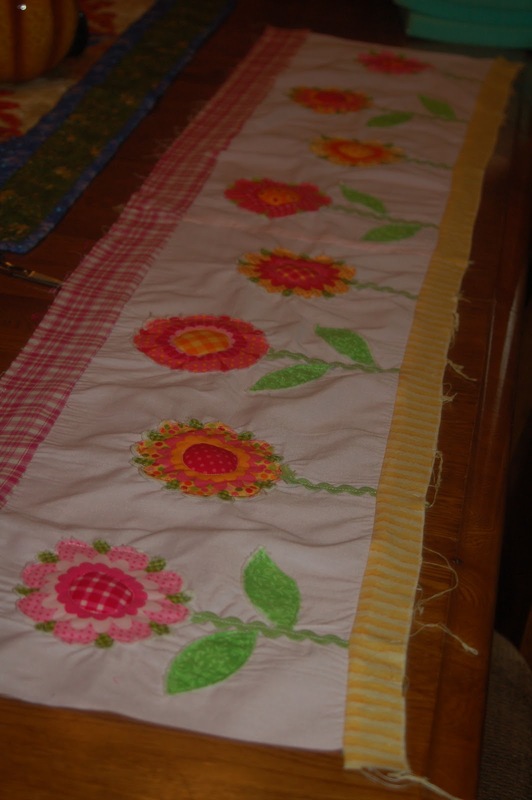 We sewed an 1/8" in around each flower, added a ric rac stem, some leaves and washed and dried the strip. This creates the frayed edges. For an added touch we put a tiny bit of stuffing in the center of each flower. Let us know your thoughts or ideas! What do you think? I think Eloise will love it! Very sweet, I wouldn't mind seeing you starting idea. It looks like alot of detail. Wow Eloise is a very loved girl! Nice bumpers. I would be careful how you make the bumpers though. Somebody told me that if air can't flow around the bumpers and the crib mattress, that carbon dioxide (from the baby's used breath) can get trapped inside and cause SIDS. I'm not an expert on the topic, but i don't want to take the risk.